Attorney Allen Browning describes frequent undiagnosed injuries in motor vehicle accidents. ****************************************­************************** Allen Browning can help with all personal injury claims including motor vehicle accidents, serious and disabling accidents, and wrongful death claims. 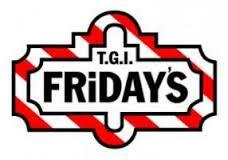 In January of 2009, Orlando Jordan was stabbed to death by Michael Castillo and Louis Martinez in a TGI Friday's restaurant. An argument broke out because Castillo disapproved of Jordan dating his mother. There was a security video showing Castillo and Martinez fleeing the restaurant after the incident. Castillo and Martinez plead guilty to assault with a deadly weapon. Castillo was sentenced to three years in state prison, and Martinez was sentenced to four years. Castillo was 20 years old at the time, and Jordan's parents argued that the restaurant continued to serve him alcohol without checking his identification first, and continued to serve him alcohol even though he was clearly intoxicated. The restaurant had served Castillo approximately 12 drinks within 30 minutes. The lawsuit brought by Jordan's parents also noted that the restaurant had a pattern of assaults and a lack of security cameras. 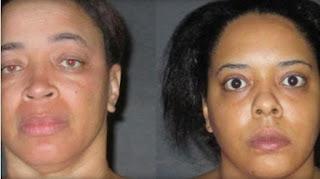 Shelia Newman and April Wright were charged with neglect homicide after a twenty two month old little girl was left in a hot car for two hours and died. According to authorities, the pair was using a van to take 16 kids to lunch around Baton Rouge, and forgot to take the girl out of the car. At the hospital, the girl's body temperature was 108 degrees. Newman was also charged for obstructing justice because she lied about where the toddler's body was found. She told Wright to lie and say that they found the girl in the backyard and to pour water on the steps to make it look like they cleaned up vomit. Newman owns a day care, but her license was recently removed because she didn't have enough attendants to care for the amount of children at the day care. Louisiana law requires day cares to be licensed if they care for more than seven children. A police dash camera caught Inkster police using excessive force on 57 year old Floyd Dent during a traffic stop on January 28, 2015. Over 90% of all criminal cases result in convictions, so if an attorney can't get the case dismissed, his job is to do "damage control:" get the client through the experience with the least amount of damage (fines, jail time, other sanctions imposed by law) as possible. As to drunk driving, prosecutors and judges are tough on these defendants because they don't want to open the local paper and see that someone who got a break on their watch just killed someone on the highway. They will want some sanction to satisfy the need for punishment, rehabilitation and restitution for any damage done by the defendant. 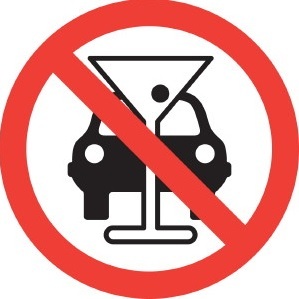 If you have been cited for DUI, you will have to appear in court several times. The first appearance in a misdemeanor DUI is the arraignment. At the arraignment you appear before a magistrate judge and enter a plea of "guilty" or "not guilty." Allen Browning describes situations which would make police more likely to to pull you over at night. 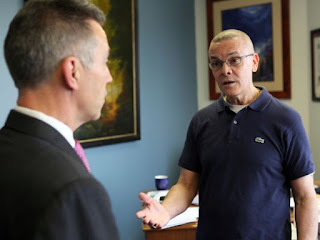 ********************************************************************** Allen Browning is an attorney in Idaho Falls, Idaho who handles personal injury and criminal defense. He has over 30 years of experience and handled thousands of cases. Allen work with cases from all over Idaho. Call (208) 542-2700 to set up a free consultation if you are facing legal trouble or you have been involved in an accident. Also, check out browninglaw.net for more information about Allen and Browning Law. Allen Browning can help with all personal injury claims including motor vehicle accidents, serious and disabling accidents, and wrongful death claims. Allen Browning can also help with DUI, Felony, Misdemeanor, Domestic Violence, Drug Crimes, Theft, Juvenile Crimes, Violent Crimes, and Probation/Parole Violations. He is one of the most experienced and successful criminal defense attorneys in Idaho. Tondalo Hall was sentenced to 30 years in prison for failing to protect her kids from her abusive boyfriend, Robert Braxton. Braxton, however, was only given two years in prison for breaking the ribs and femur of their daughter. The judge who sentenced her remarked that in her testimony she seemed to fear her boyfriend. Hall plead guilty to enabling child abuse in 2006. She has not applied for a full pardon, but rather a commutation. That would release her, but not absolve her from the crime. In her application she expressed her remorse, but that she was stuck in an abusive relationship and she thought that alerting the police would make it worse. 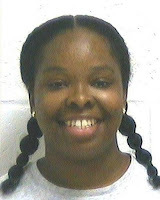 Since she has been in prison, she has completed her GED, taken parenting classes, kept a job in the laundry department, and continues to write letters to her children. There are two completely different sides to the lawsuits filed by Lisa Mims, 24 years old, and former Professor J.D. Oliver, 76 years old. Prairie View A&M University fired Professor Oliver in July 2014 after allegations that he had sexually assaulted Mims. Oliver began the process of suing Prairie View A&M University on June 16, 2015. 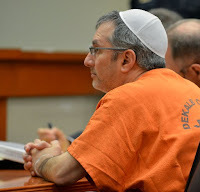 Hemy Neuman was arrested and charged for the murder of Russell Sneiderman after Russell took his son to Dunwoody Prep Day Care on November 18, 2010. Neuman was a supervisor at GE Energy where Russell Sneiderman's wife, Andrea Sneiderman, worked. Neuman was found guilty, but mentally ill on March 15, 2012. He was then sentenced to life in prison. In the beginning of August of 2012, Andrea was charged with malice murder, attempted murder, racketeering, insurance fraud, and two counts of perjury and false statements. The fraud charge comes from her making false statements to an insurance company to collect $2 million after her husband's death. She was charged with misleading the police investigation because she believed Neuman killed Russell, talked to one of her friends about it, and misled police by failing to disclose this information to the police when interviewed and by denying she'd had a romantic relationship with Neuman. Seven years ago, Mario Gomez and Jose Quinoy had a violent confrontation and have been trying to reach a settlement since then. A federal jury awarded $1.05 million to Gomez and his ex-wife, who were hurt by detective Quinoy on May 22, 2008. Gomez is also going to receive punitive damages from Quinoy who was acquitted three years ago on federal criminal charges. Quinoy disagreed with the jury saying that they were swayed by the current environment around law enforcement from the news such as Ferguson and Baltimore. The incident started because Quinoy called Gomez, who believed that Quinoy- who was married- was having a relationship with Gomez' daughter. Quinoy was trying to deny that allegation and supposedly Gomez threatened to come to the headquarters and beat him up. Gomez said that Quinoy taunted him about not being able to talk about the issue in person. Years ago, I began to be contacted by people who were concerned that one or more items in their criminal record were coming back to haunt them, usually in the context of background checks when applying for jobs. Cleaning up your record can sometimes be done. 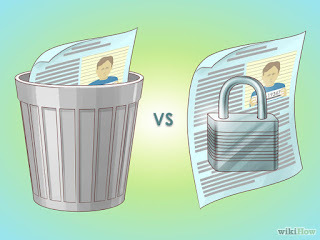 If you were under 18 when you committed the offense, and it was charged under the Juvenile Corrections Act (as opposed to being charged as a crime outside that Act), you may be entitled to have your record “expunged.” That means the sentencing judge orders the State of Idaho to use an electronic eraser and make your juvenile record disappear so it cannot be found at all.